DESCRIPTION: Drione dust is a desiccant dust with a residual of over 6 months. Drione dust is labeled for Ants, Bees, Bedbugs, Boxelder bugs, Cadelles, Centipedes, Cheese mites, Cigarette beetles, Cockroaches, American, Oriental, Confused flour beetles, Dark mealworms, Drugstore beetles, Drywood termites, Earwigs, Fleas, firebrats, Grain beetles, Grain mites, Granary weevils, Ground beetles, Lice, Millipedes, Pillbugs, Red flour beetles, Sawtoothed grain beetles, Scorpions, Silverfish, Sowbugs, Spiders, Ticks, Wasps, Drione dust may be used in non-food areas such as cracks and crevices in homes, office buildings, schools, warehouses, etc. USE: Drione dust is best applied with a hand duster. Apply to cracks, crevices, wall voids, and underneath appliances. Do not apply in or around ventilation, vents, or HVAC units, or food areas. 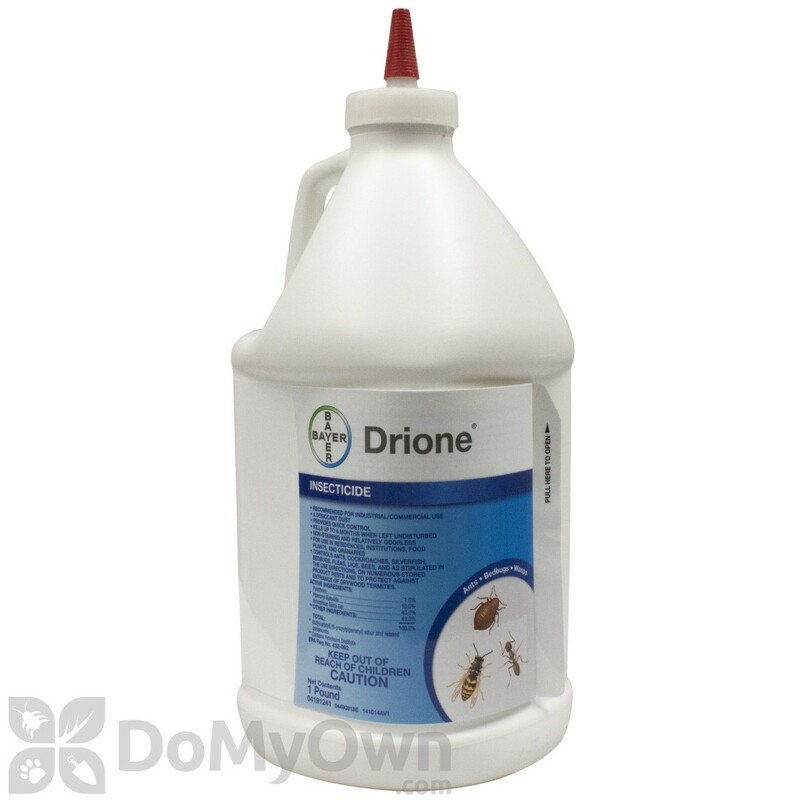 Within food areas, application of DRIONE® is limited to crack and crevice treatment only. For applications in non-food areas, apply a continuous visible film where insects hide: Underneath and behind stairs, refrigerators and appliances and on, around, and behind moldings, shelving, baseboards, pipe openings, cracks and crevices. 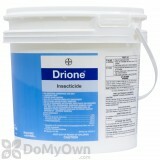 For severe infestations, apply Drione behind cabinets and walls, in crawl spaces and attics. I spoke with Mike about a horrible problem I had. BEDBUGS! We got them on our travels from another state. Mike realized right away that I had a problem and the product arrived FAST! I rid my whole house of this menace in less than 2 weeks. Drione Dust is awesome. I have recommended this site to everyone who hate bugs as much as I do. Unfortunately, I pitched my 1920's wooden sleigh bed before I found this site. Drione works and kills within 24 hours. I live in an apartment and the management decided it was time to get the bed bugs treated. We were told the exterminators would come once a week for 3 weeks and after that we should have no more issues with bed bugs. After almost three weeks, we still saw no difference and were suffering from sleepless nights. A friend suggested Drione dust and I decided to give it a try since i was very disappointed with the on-going treatment. Drione dust proved to be magic and with just one treatment that I left on for 42 hours, I am happy to say 'Adios bed-bugs'. I strongly recommend this product for all those folks suffering. You'll need the Bellow hand duster with it as well. Can't say enough good things about Drione Dust. It's been incredibly effective for me. I've cleaned out 3 or 4 yellow jacket nests with it. They were all within walls and cracks, so injecting it into the cracks at night was all it took -- just one application. I've also taken down large spiders with it, and just recently knocked out a nest of carpenter ants. I don't know how it works, but I don't care. Highly suggest purchasing the applicator/injector. Much easier to aim the stuff. This is the second time we have a had a hornets nest in the last two years. The first time we paid a "pro" to come and do the job for us, who had to come back a second time to reapply. This time we tackled the problem ourselves (along with DMOPC) and there was not a single hornet coming in or out the next morning, thanks to Drione Dust. Great great stuff at 1/2 the cost. Thanks!! Is Drione Dust safe around people and pets? I have a newborn and two dogs. If we were to buy Drione Dust and treat our house for ticks, can I have the newborn and dogs in the house while treating? If not, how long until we can go back into the house? Also, is it safe to be in the house after treatment with a newborn and two dogs? 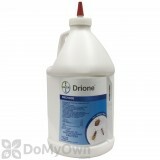 Drione Dust is a very safe product and also very effective. Like any product. you need to make sure you apply it as directed and read all instructions for it to work properly on insects and be safe for your family. Drione Dust is meant to be applied in cracks and crevices, underneath appliances and inside wall voids. If you apply it correctly and in these types of areas, it will not be accessible for your pets and children to come in contact with but it will be in the places that bugs like to hide. You do not have to remove the pets and children while you are treating, but it would be a good idea to have them in a different room while you are applying the dust. After 30 minutes have passed after you have applied the product, it is perfectly safe for them to be back in the room that you treated. What is the shelf life of Drione dust? Drione Dust will remain effective as long as it stays dry. You should keep the lid on at all times and keep it away from moisture. We have customers that have had Drione Dust for over 5 years and it is still effective. What's the difference between Delta Dust and Drione Dust? Besides being waterproof, what is the difference between Drione Dust and Delta Dust? The only real difference is that they are different active ingredients. Delta Dust has an active ingredient of Deltamethrin, and Drione Dust is a 1% natural pyrethrin. Both are very effective and our most popular dust products that we sell. They just kill the insect in different ways. Either is a great choice. What's the difference between bedbug spray and dust? Sprays come either in a can or a concentrate that you mix with water. Sprays need to be re-applied every 7-10 days in most situations. Dusts need to be applied with a hand duster and most last for around 6 months. When you are dealing with bedbugs, it is important that you use both a dust and a spray. The reasoning behind this is that while dusts may last a long time, they also take a long time to kill the bedbug(time that the bedbug will still be able to breed), bite and lay eggs. Sprays offer a faster kill, but do not last very long. Also, dusts must only be applied to areas that will later be inaccessible such as wall voids, under furniture, under carpets, etc. Many of the bedbug sprays can be applied to the mattress, box spring, couch and other areas that are a bit more sensitive. Professional standards require the use of both dusts and sprays. We recommend purchasing one of our bedbug kits as they come with all of the insecticide products you need to do a proper treatment. Is Drione Dust water proof? If I were to dust the perimeter of my house and yard, would it stand up to water? And if not, what would you recommend? Drione dust is not waterproof. The only dust that is waterproof is Delta Dust. Delta is also labeled to kill most of the same insects as the Drione dust.